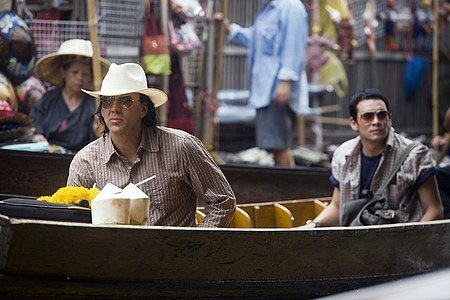 Remorseless assassin Joe (Nicolas Cage) is in Thailand to complete a series of contract killings for a crime boss called Surat (Nirattisai Kaljaruek) . He hires a street punk named Kong (Shahkrit Yamnarm) to run errands for him, all the while planning to kill the youth at the conclusion of his assignment. Instead, Joe becomes Kong's unlikely mentor, and begins a tentative romance with a local shop girl. But, as Joe begins to let his guard down, Surat decides it is time to clean house. 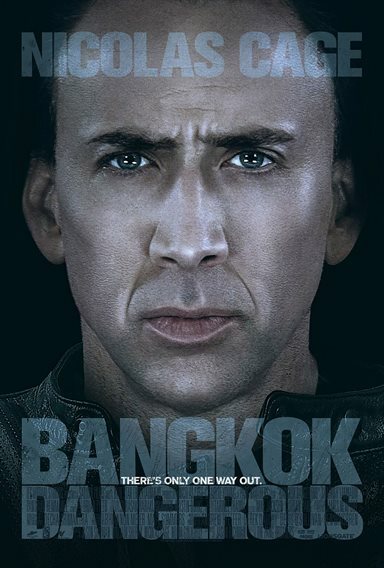 Download Bangkok Dangerous in Digital HD from the iTunes store. Bangkok Dangerous images are © Lionsgate. All Rights Reserved. Bangkok Dangerous images © Lionsgate. All Rights Reserved.